In good times and bad, theft, vandalism and equipment damage are all business issues that can seriously affect many carwashes’ long-term profitability. One instance of criminal activity or one misunderstood instruction can cost operators dearly if they do not have systems to properly monitor their sites and facilities. Recorded, high-definition footage gives carwash owners the opportunity to prevent issues by reviewing footage, and it also provides unbiased information if an incident does occur. Because of these factors, equipping a car care site with the latest security and surveillance technology has long been an industry best practice. 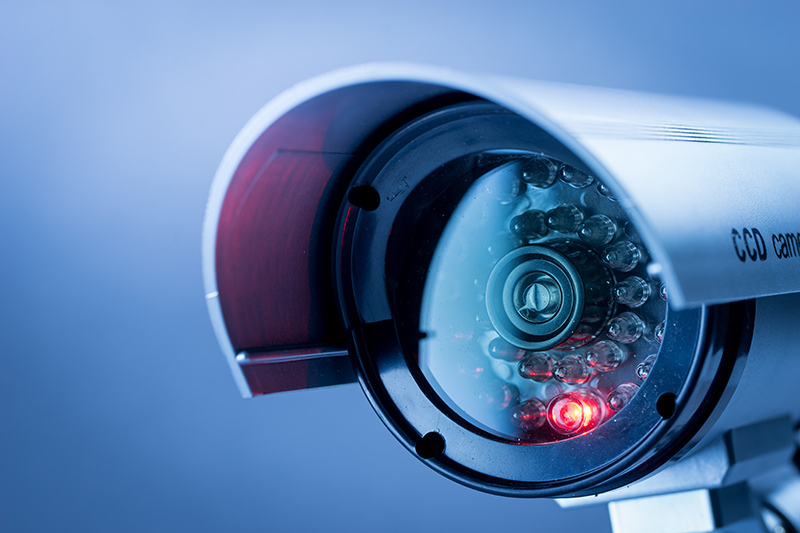 The newest generation of commercial cameras, monitoring and surveillance equipment offers more upgrades and advantages compared to the systems that were popular just a few years ago. The advent of the internet has driven a new era of flexibility and convenience for owners looking to monitor every area of their carwashes with durable and dependable surveillance cameras. Jennifer Spears, sales manager with CarWashCameras.com, explains that surveillance technology is always changing — mainly, it is becoming faster and/or smarter. Today, resolution is the most important aspect when it comes to camera systems for a carwash. The higher the resolution, the more details a system can record. With these new systems come new features. The advent of motorized zoom lenses over coax is an amazing new improvement, according to Spears. 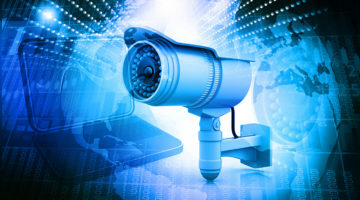 With no additional cabling, no cost increase and no need for extra equipment, an owner in front of a DVR, a computer or even a tablet can zoom a camera in or out at any time. Stu Moore, sales manager with Security Camera Warehouse, agrees that new security systems offer carwash operators multiple advantages. 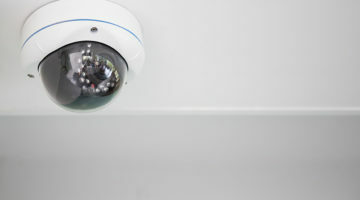 IP surveillance cameras were introduced to the market a few years back, and they are network devices that connect via ethernet-style cables. This is the same type of cable used for modems or routers, and it is a data cable. Here, the great benefit is that a carwash owner does not have to be a professional electrician to install a system, Moore notes. An operator can install his or her own system and save money because all installation requires is snapping in a cable that carries both low-voltage power for the camera as well as recorded data. Even so, if an owner does not feel comfortable running cables, then it is a good idea to consult a professional. How can an investment in a new security and surveillance system save a carwash owner money? According to Spears, camera systems that document comparative vehicle condition before and after a vehicle enters a tunnel can pay for themselves when just one damage claim can be proven false. Further, these systems can catch employees giving away free washes or upgrades, theft by employees or customers, damage to equipment, roller jump collision damage or even vandalism that happens after hours. Visible cameras also let site visitors know that they are being watched, and spot monitors communicate that all areas of a carwash are being covered. Finally, if an employee or customer is hurt in a hard-to-see spot, cameras might capture the event, and there will be available footage, according to Banuelos. Using surveillance systems is incredibly important for businesses that can be perceived as an easy target, and this unfortunately includes carwashes, Spears reveals. Scarce employees, free-standing profit centers that hold money and areas where thieves can hide on the property are draws of the negative variety. Visible cameras let a wash’s customers know that an owner takes their security and the overall safety of the property seriously. If an operator is in the market for a new surveillance system, Spears notes that an important fact he or she should know is: One size never fits all. Every property, every operator and every geographical location is different. Across the car care market, owner expectations in one spot compared to someone else’s in a similar location are guaranteed to be different. Making sure the hard drives are operating perfectly and recording what is needed. Other important surveillance steps Banuelos shares are choosing the correct resolution for the location, making sure to have plenty of storage, configuring areas of interest correctly and making use of the cameras’ functionality. Instead of just a “point and shoot” setup, for example, enable alerts, zones and notifications. 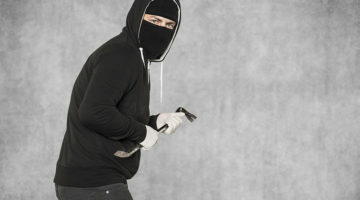 Other best practices include selecting vandal-proof cabling and cameras as well as mounting equipment securely. Finally, operators should buy equipment from a company that offers warranties, tech support and customer service. “When it comes to cameras, really cheap prices are usually a red flag,” warns Banuelos. Next, if a carwash is going to have cabling running through a wash environment, an owner will need to protect it. Moore notes that cable with just a thin piece of plastic sheath around it will not last. Instead, select an outdoor, weatherproof-rated cable. But, even this type of cable can break down over time, especially when it is exposed to heat and sunlight. To extend the cable’s life, an owner should keep it out of the elements as best as he or she can. Moore’s final recommendation involves choosing the right surveillance camera for each specific job. If a carwash has a retail space or waiting room, a dome camera would make more sense to secure the area versus a bullet-style camera. While bullet-style cameras typically hold up better in extreme carwash areas, the dome cameras will not work well in a humid environment. Here, Moore suggests bullet cameras for weathered environments and dome cameras for less weathered environments or indoor use. The dome option is also less intimidating inside a retail space where customers frequently visit. Investing the time and money in buying a security and surveillance system means that, in the end, you have more sets of “eyes” watching over your wash for you, giving you both an opportunity to focus on other aspects of your business and to have some well-deserved peace of mind.